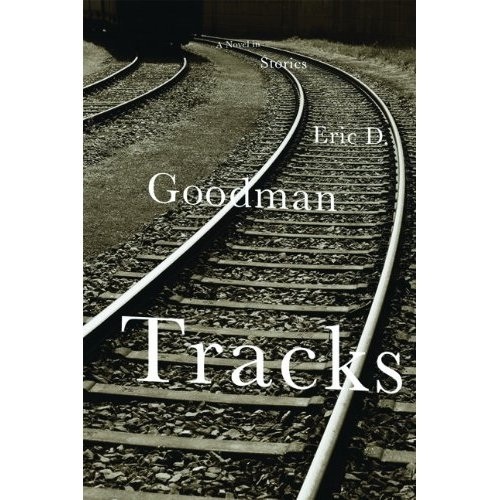 Tracks by Eric D. Goodman is a expressive and reflective novel told in stories or what some would call a short story collection published by Maryland-based publisher Atticus Books, and unlike other short story collections, there are very few weak stories, if any. Each protagonist in the story is on the train headed somewhere and each of their lives is in transition, from a young woman on the verge of promotion who must decide between lover and career to a man and woman at the end of their years who must face their fears. Goodman is adept at ensuring readers care about his characters in just a few pages, and even though the end of each story comes quickly, there is rarely a sense that there was more to the story that was not told. The Cardinal that rides between Baltimore, Md., and Chicago, Ill., carries all of these passengers on their way, and some of these passengers have been on the train in both directions, while others have traveled the rails between Chicago and Washington, D.C., and more than once. It does not matter where these characters come from; what matters is that the rails provide them with hope and a time out from their hustle of their daily lives. The train and the rails are an escape, a quiet place to contemplate their lives as the undulating sway of the cars lulls them into deep meditation. Paralleling their actual lives, the trip on the train has each member making contact with strangers, and like the conscience that guides their decision making, the conductor on the train whispers advice and nuggets of observation/wisdom to those with whom he speaks. Beyond the characters, the city of Baltimore and the rail line itself loom large in the story, almost becoming characters themselves, with the city representing an anchor weighing down certain characters and the rail a symbol of liberation. Each story is tied together by the people the characters meet on the train, the conductor, and the railway itself. The rails come to symbolize the journey life takes us on, with some of the moments in our lives speeding by us too quickly for us to pause and reflect, while others gently impress upon us the gravity of their meaning. Readers spend time with each character, getting to know their reasons for being on the train, the events that have hammered them recently, and how they view their fellow passengers, but Goodman also sprinkles in a bit of mystery and mayhem into the narration with the introduction of Gene Silverman in “Reset” and Charlie in “One Last Hit.” Several stories also delve into the detrimental effect of war on not only the victims who survive, but also the soldiers called to action. Tracks by Eric D. Goodman demonstrates how we are all traveling the same line and how we have similar fears and failings, but also similar hopes and dreams. In spite of that, we all end up in different places. Even with the characters who seem unsavory or hard to like, they offer a lesson to readers — seize the moment because in the next, it could be gone. Opportunity arises and disappears just as quickly, and life on the train ride of life is quick and unrelenting. There’s not much time for reflection and a deeper examination of pros and cons when living life at full tilt, but stepping back for a few hours on a train ride can be enough to reassess and rejoin life’s journey with a new purpose. Excellent novel in stories with a common theme, setting, and interacting characters tying them together. Eric D. Goodman has been writing fiction since he was in the third grade, when a story assignment turned him on to the craft more than a quarter century ago. He regularly reads his fiction on Baltimore’s NPR station, WYPR, and at book festivals and literary events. His work has appeared in a number of publications, including The Baltimore Review, The Pedestal Magazine, Writers Weekly, The Potomac, Grub Street, Scribble Magazine, The Arabesques Review, and New Lines from the Old Line State: An Anthology of Maryland Writers. Eric is the author of Flightless Goose, a storybook for children. Check out this interview with Eric at Atticus Books. 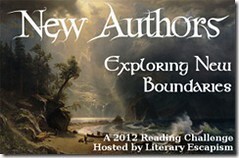 This is my 2nd book for the 2012 New Authors Challenge. This is a stop on The Literary Road Trip since a lot of the book Tracks focuses on Baltimore, Md., the author is a regular on Baltimore’s NPR, and the publisher is based in Maryland. Sounds like an interesting short story collection, I think I might take a closer look at the book, thanks for the review. Wow, this one really sounds intriguing. I don’t have muc cause for traveling by train but the idea appeals to me so much. I bet it gives you a lot of time to reflect. I think I’d likely enjoy this book. I really loved this one. It was so much fun to read and learn about these characters, especially from fellow train riders. I like the premise of this one. At first, it sounded like the premise of Train of Small Mercies but so little of that actually takes place ON the train and then that one focused on Kennedy and all. LOL. Ah, yes, this is on the train, in the towns/cities, etc. But mostly, its all on the train with the conductor taking tickets and more. I really loved that these stories were linked by something more substantial than just being on the same train. I’m intrigued because I encounter interesting people on the train every day, it’s set in Baltimore, and you say all of the stories are strong. Great review! I think it would behoove you to read this one given one of your projects…though you’ve set it aside….its similar but yours is different enough….I think this could spur more work on your project….give you a nudge! 🙂 I really liked this collection/novel quite a bit. I really like the premise of this. I love to travel by train and I think interconnected stories about people on the train is something I’d like. I also like the quote you shared from the preface. This is a new to me author as well. I think you’d enjoy this book if you like to ride the train. There are a variety of stories….and stories within the stories….they’re connected really well. I was riveted from beginning to end.